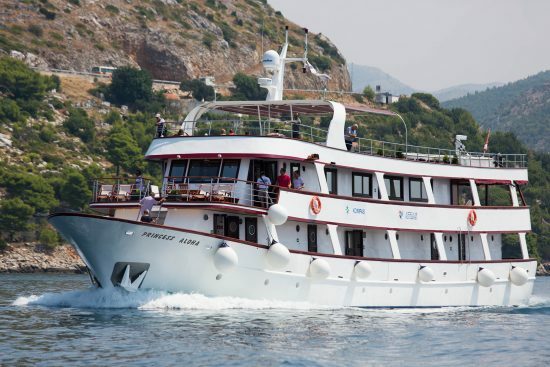 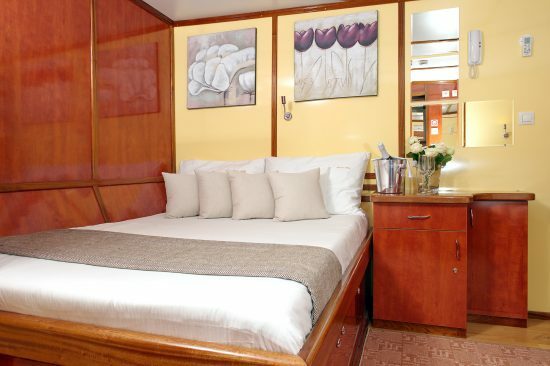 The stylish MS Princess Aloha was launched for the 2012 sailing season and has been a popular boat ever since. 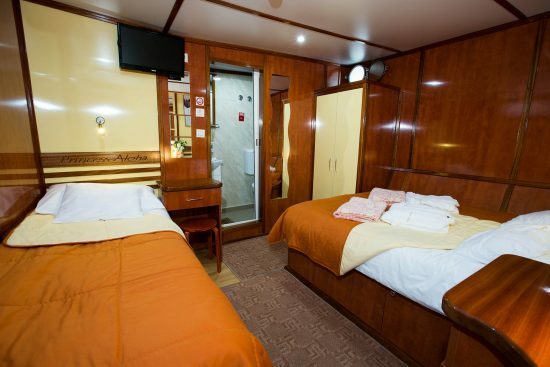 Elegantly decorated cabin feature private facilities, air-conditioning, LCD TV, mini-bar, safe, table and ample storage space. 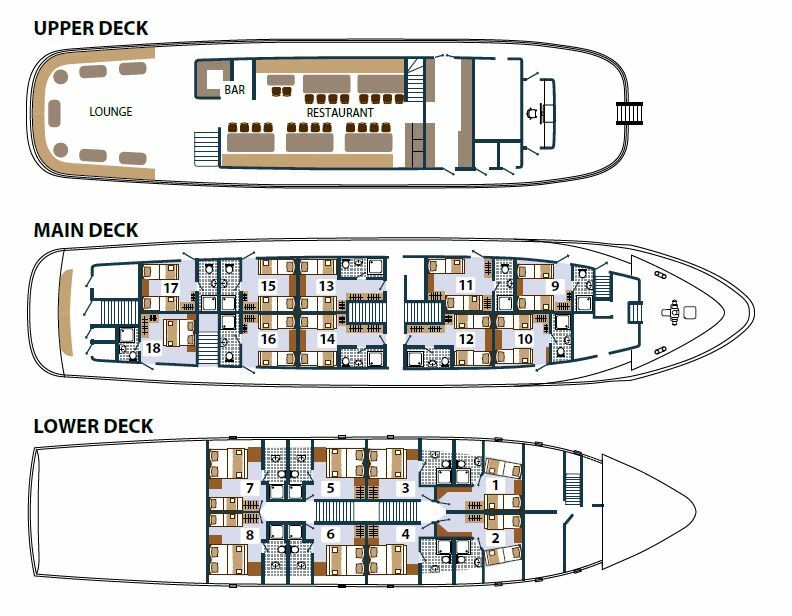 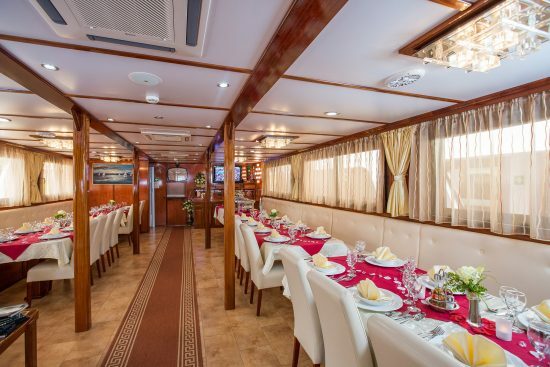 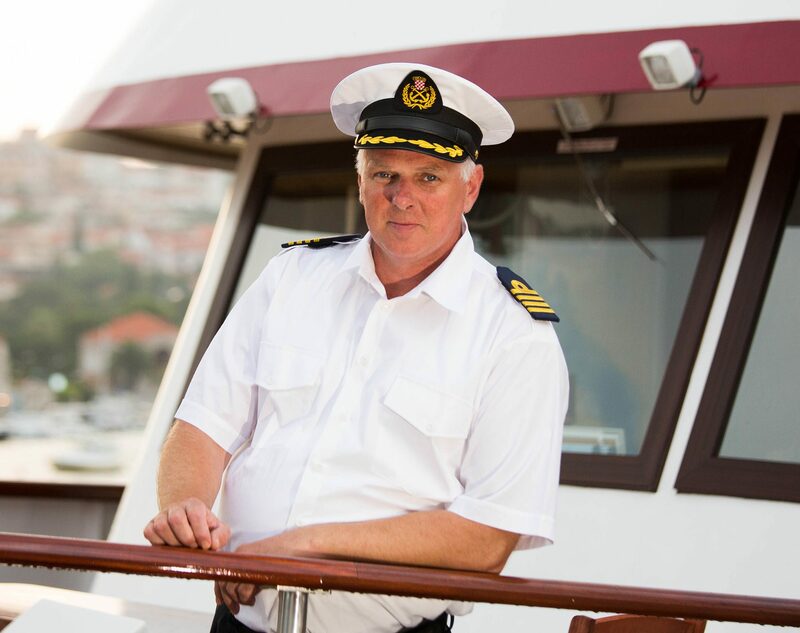 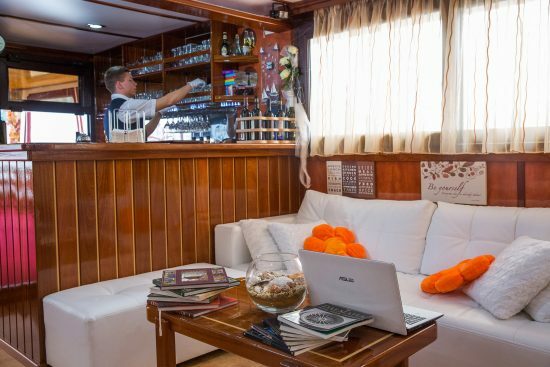 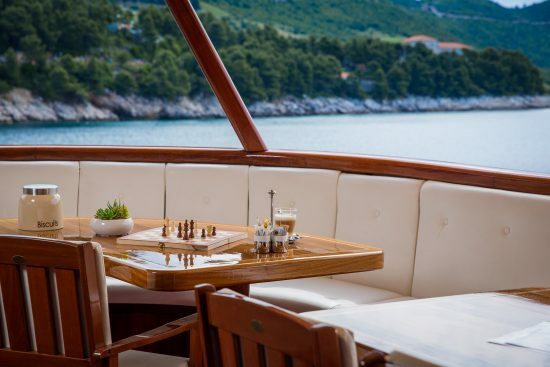 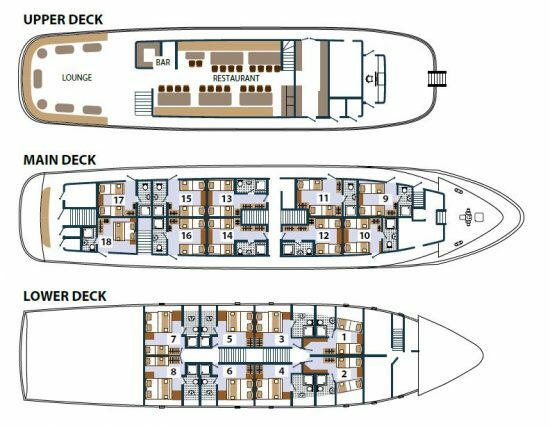 Life on board centres on the air-conditioned indoor and outdoor salon-restaurant on the upper deck which has a small bar, LCD TV and free Wi-Fi. 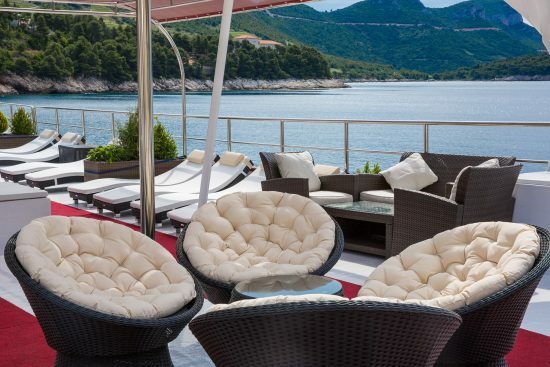 A spacious sun-deck, with ample shading and sunbeds, provide the perfect place to relax and enjoy the panoramic views.